Vicente Wolf is known for his worldly style. His interiors mix pieces from different genres, eras and cultures—18th-century French next to African, Mies van der Rohe furnishings alongside Far-Eastern finds. 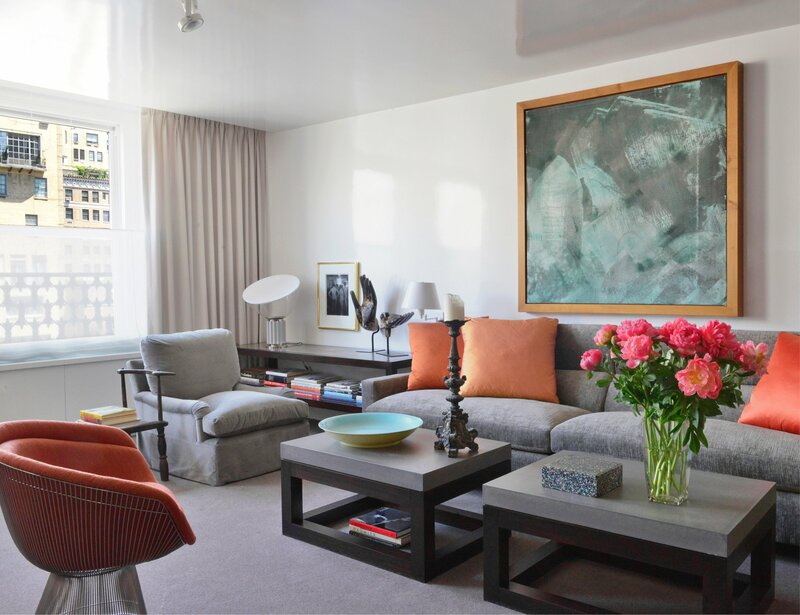 One of most celebrated interior designers working today, his work has been featured in all the top shelter magazines and blogs, consistently named to the AD100 and chosen by House Beautiful as one of the ten most influential designers in the United States. He is the author of three previous titles: Learning to See, Crossing Boundaries, and Lifting the Curtain on Design. 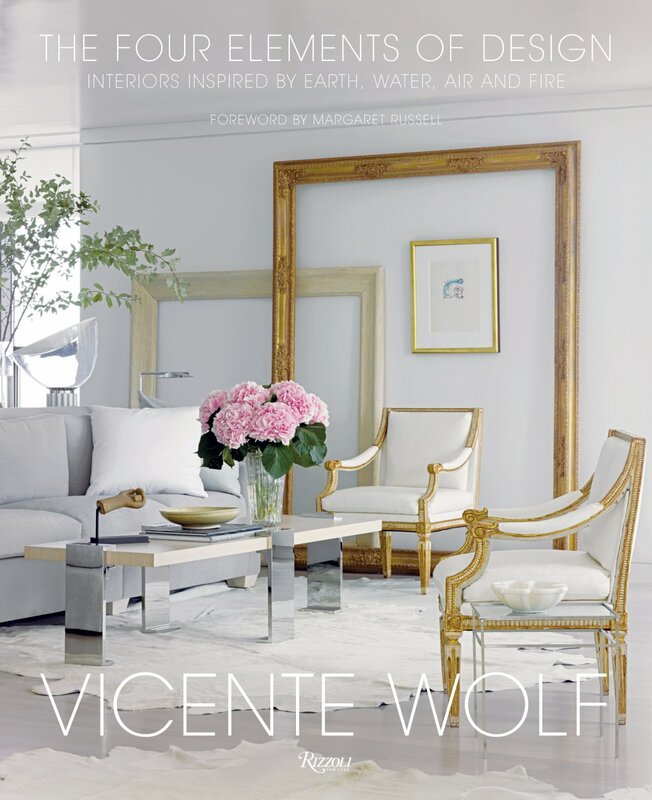 His most recent tome, The Four Elements of Design, explores Vicente's belief that the classical elements—earth, water, air, and fire—form the basic building blocks of great interior design, and the result is an inspirational guide to designing unforgettable spaces based on the four natural elements. Through his own breathtaking photography, and engaging narrative, Wolf shares his philosophy of designing around these four fundamental principles in a book divided into sections reflecting the unique qualities of each. Air showcases projects that contain a lightness of spirit, open in feeling, with a palette that creates an atmosphere without the conventional inside-outside boundaries. Earth features interiors grounded in stone, wood, and natural textures. Water shows restorative spaces swimming in serene shades of blues and aqua, while enlivening rich colors, and dramatic qualities are showcased in Fire. More than a dozen projects are presented in detail including Long Island beach houses, Manhattan apartments, a chalet in the Swiss Alps, a house in Israel, and sumptuous homes from New York and Connecticut, to California. Through this unique concept, Wolf proves why he is an uncontested master of luminous rooms that combine light, texture, strength, fluidity and sensuality.